With Diary of My Demons, The Paramedic has just put the entire scene on blast. The album’s devastating opening triumverate (“Have a Nice Day,” “Who I’ve Become,” “Proud”) levels the battlefield immediately via lion-sized barks and throat shredding screams, hyperactive guitars, frantic riffs, manic drumming, which combine to create an immersive sound. Lead vocalist Mike Luciano delivers one of the year’s best vocal performances - reminiscent of …An Ocean Between Us-era As I Lay Dying. “Make Me Feel,” one of the only tracks on Diary of My Demons that is out of place, sounds like a The Bunny The Bear b-side, which isn’t actually that bad. The track is a mere aberration as the rest of the album employs razor sharp staccato riffs (“Fire Red”), soaring melodies (“Captivate”) and a semi ballad complete with epic soloing (“My Life in a Bottle”). 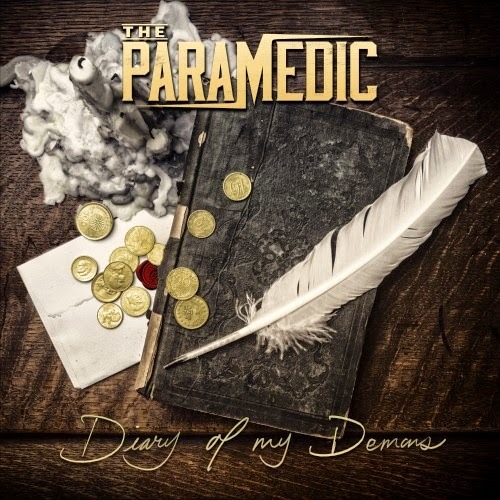 Another positive is that Diary Of My Demons is 10 tracks and just over a half hour in length (the deluxe version boasts four additional tracks) - which increases its replay value tenfold. Suffice to say, it’s time for all other metalcore bands to step their game up.